Following my blog last week reflecting on the debate published in the British Medical Journal on “Should hospitals provide all patients with single rooms?”, I asked the same question to Linkedin and Twitter. My informal poll received a total of 37 responses, which is not the largest survey you’ll ever see but probably a meaningful sample size. 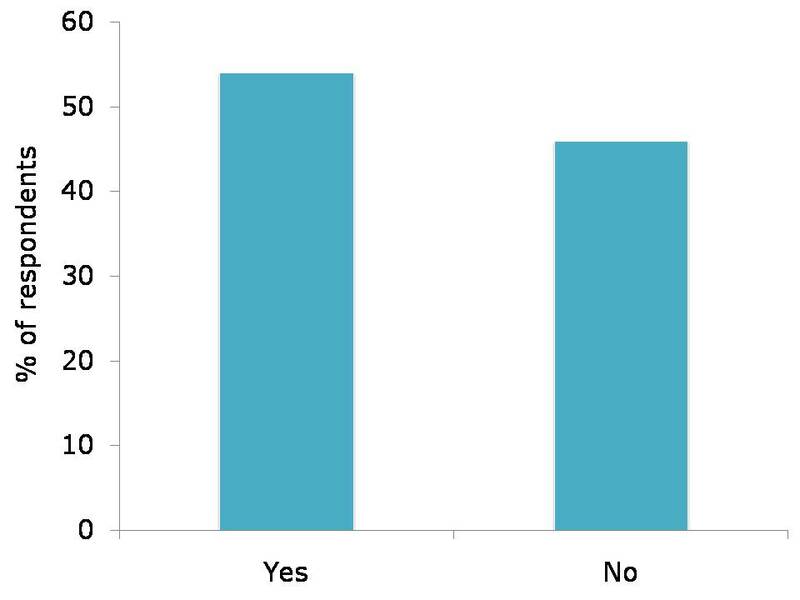 Overall, 54% of respondents answered ‘Yes’ and 45% answered ‘No’ (Figure). Figure: “Should hospitals provide all patients with single rooms”. Results from 37 respondents in online polls on Linkedin and Twitter. An interesting feature of the survey was the difference between Linkedin and Twitter, with two third of respondents saying Yes on Linked vs. only 20% on Twitter. I suspect this is explained by the fact that most respondents on Twitter were frontline healthcare workers, who see first-hand the problems caused by placing patients in single rooms when they’d rather be in a bay, or when it compromises their safety. Clearly, there are some inherent problems with polls, not least the fact that those with strong opinions are more likely to respond and I have no idea how many people saw the survey and decided not to vote. The roughly 50:50 split in opinion on the single room issue is similar to the survey of patients commissioned by the Scottish government, which found that 41% of patients would prefer to be admitted to a single room. Should hospitals provide single rooms for all patients? Whilst I would definitely prefer a single room if admitted to hospital, there are some strong arguments for a mixture of single rooms and bays in some specialties. So, I agree with the English recommendation of 50% single rooms as a minimum requirement. 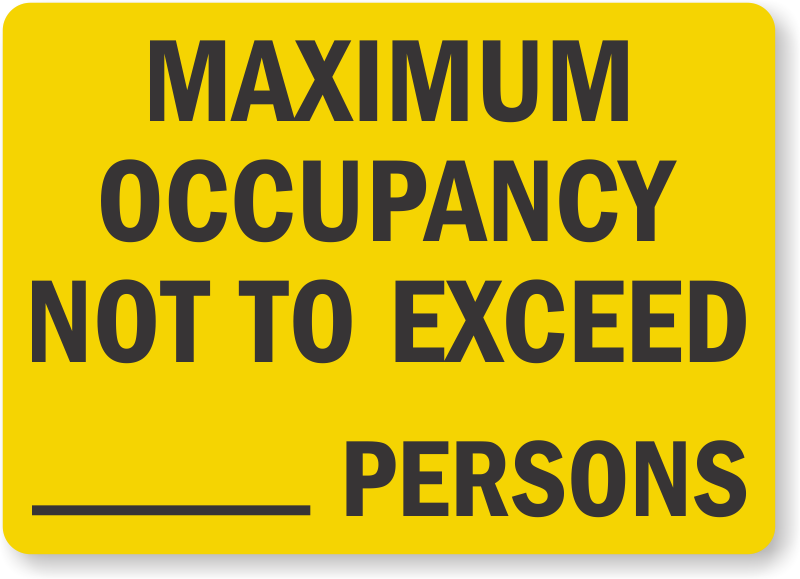 Should hospitals provide all patients with single rooms? Prof Pennington made the case for 100% single rooms (see Table below), which provide infection control benefits; increased privacy, dignity and confidentiality; less noise results in sleep; intimate contact with families is easier; patients have more control over their immediate environment at a time when they have little control over what happens to them; there is better access for bed-side treatment; and bed management is improved, with less bed-blocking due to gender or infectious patients, resulting in fewer patient transfers. Dr Isles countered with the case for a mixture of single rooms and bays (see Table below). His argument goes that ‘one room does not fit all’; patients crave company at what can be a very lonely time; patients in single rooms have less contact with healthcare workers, and patients will look out for each other when something goes wrong; and there is surprisingly poor evidence that increasing the proportion of single rooms reduces healthcare-associated infection. Table: comparing the relative benefits of single rooms and multi-occupancy bays. It’s interesting to note the variety in national approaches taken to advice on whether hospitals should provide single rooms for all patients. The USA and, more recently, Scotland recommend 100% single rooms, whereas England recommends 50% single rooms for newly built hospitals. There are also some ‘halfway house’ options to consider in terms of temporary or semi-permanent conversion of bays into single rooms, which may go some way to maximising the benefits of single rooms and bays. If I had to spend time as a hospital inpatient, I’d want a single room. I appreciate that some would find social benefits from being accommodated in a four or six bed bay, but I’d like my own privacy please. And then there’s the risk of infection – healthcare workers are significantly more likely to perform hand hygiene before attending to a patient in a single room than in a bay. Plus, overall infection rates were lower in a unit composed of single rooms compared with a unit composed of a mixture of single rooms and bay. I know that I’d receive less visits from healthcare workers, and that this carries risks, but I’d still prefer a single room thank-you very much! Article citation: Pennington H, Isles C. Should hospitals provide all patients with single rooms? BMJ 2013;347:f5695. Teltsch et al. Arch Intern Med 2011; 171: 32-38.
van de Glind et al. Health Policy 2007;84:153-161. Borg MA. J Hosp Infect 2003;54:316–318. Haill et al. J Hosp Infect 2012;82:30-35. King et al. Building and Environment 2013;59:436-447. Moore et al. J Hosp Infect 2010;76:103-107. Jolley S. Nursing Standard 2005;20:41–48. Barlas et al. Ann Emerg Med 2001;38:135–139. Lawson & Phiri. Health Serv J 2000;110:24–26. Ulrich et al. White Paper #5. The Center for Health Design. 2008. Maben J. Nurs Manag 2009;16:18-19. PricewaterhouseCoopers. The role of hospital design in the recruitment, retention and performance of NHS nurses in England. 2004. Stelfox et al. JAMA 2003;290:1899–1905. Tarzi et al. J Hosp Infect 2001;49:250-254. Young & Yarandipour. Health Estate 2007;61:85-86. Mooney H. Nursing Times 2008;104:14-16. UK Dept Health. Ward layouts with single rooms and space for flexibility. 2005. 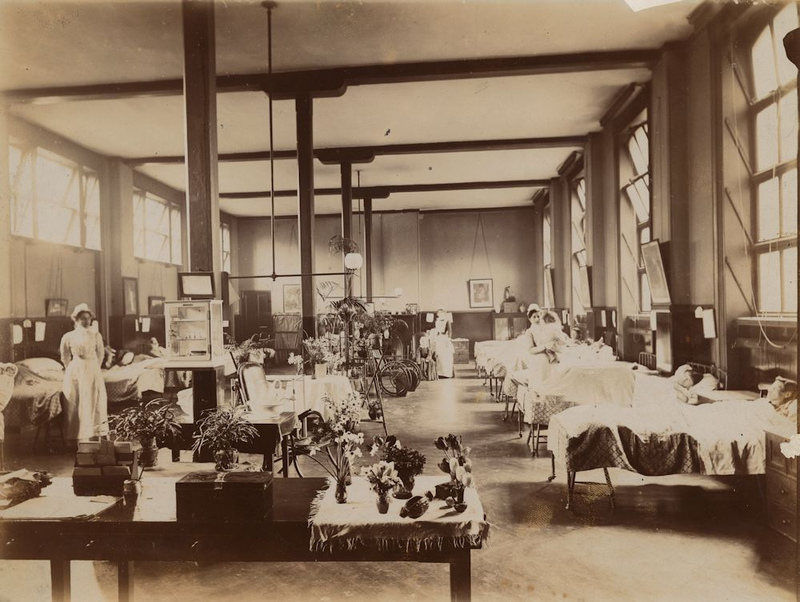 Photo credit: Ward at the Royal Free Hospital, c.1908; Royal Free Archive Centre.